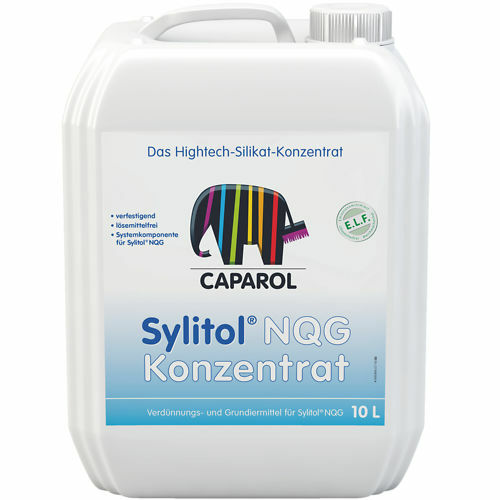 Sylitol® NQG Konzentrat (Concentrate) is used for thinning/diluting Sylitol® NQG (facade paint). Also used as primer to strengthen mineral substrates and to equalize/level the absorbency of highly or unevenly absorbent mineral substrates, before applying paint coatings of Sylitol® NQG. Do not use for conventional emulsion-silicate paints or pure silicate paints. Special alkali silicate (water/soluble glass) with organic additives.